New York: Holt, Rinehart and Winston, 1969. 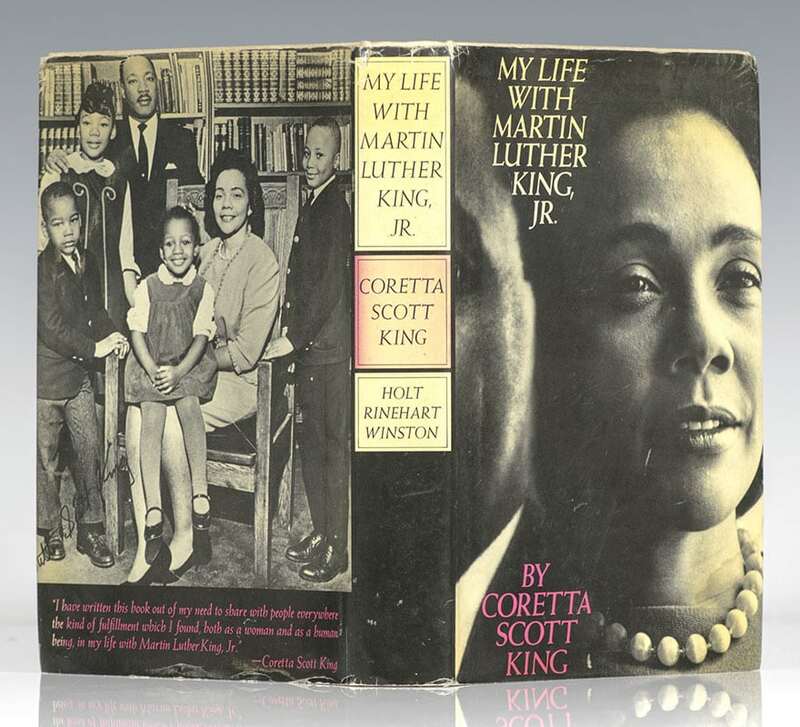 First edition of Coretta Scott King’s autobiography, which recounts the history of the Civil Rights Movement and offers an inside look at Dr. King, his sermons and speeches. Octavo, original cloth, illustrated. Signed by the author on the front free endpaper, “With all good wishes Coretta Scott King.” Very good in a very good price-clipped dust jacket. Jacket design by Robert Reed. My Life with Martin Luther King, Jr. is a personal, inspirational account of the history of the Civil Rights Movement. The book describes the author's relationship with Martin Luther King, Jr., detailing their marriage, the events of the 1960s, and King's tragic assassination. 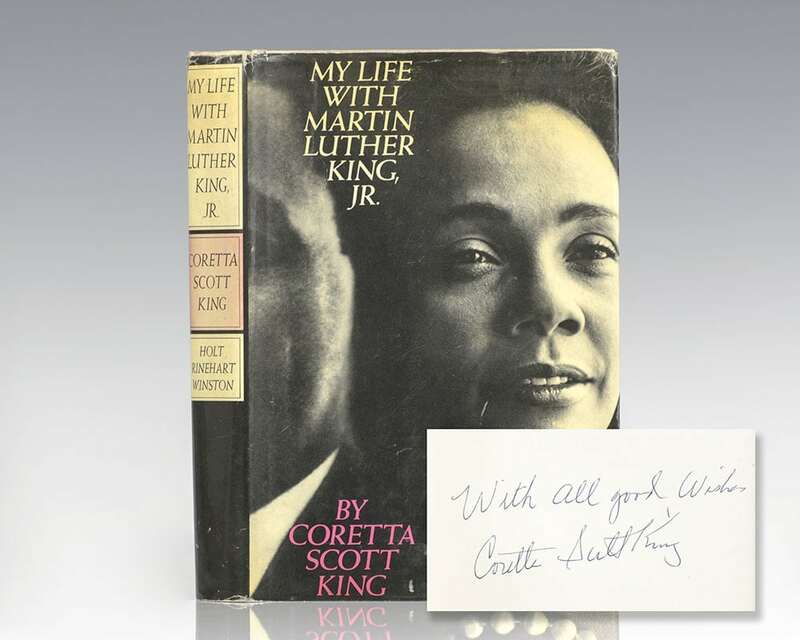 First edition of Coretta Scott King’s autobiography, which recounts the history of the Civil Rights Movement and offers an inside look at Dr. King, his sermons and speeches. Octavo, original cloth. Warmly inscribed by the author on the front free endpaper, “For Don with love and gratitude Coretta Scott King.” Some light stains to the page edges in near fine dust jacket. Jacket design by Robert Reed. First edition of Coretta Scott King’s autobiography, which recounts the history of the Civil Rights Movement and offers an inside look at Dr. King, his sermons and speeches. Octavo, original cloth, illustrated. Boldly signed by Coretta Scott King on the front free endpaper. Near fine in a near fine dust jacket. Jacket design by Robert Reed. A very nice example.